On the chance that you have completely turned off the news in order to avoid election coverage, you may not have heard that former Secretary Hillary Clinton had to leave a 9/11 memorial event because she was suffering from pneumonia. With the advent of antibiotics, the number of fatalities from pneumonia have fallen dramatically. Before the introduction of sulfa drugs in the 1930’s, 30-40% of people who got pneumonia died from it, according to the National Institutes of Health. Now, the percent who die from pneumonia is 14.8%, according to the latest statistics (2013) put out by the CDC and the American Lung Association. So clearly, it is still a serious disease, especially when one ignores it or doesn’t take care of oneself when afflicted by it. Regardless if the event is as significant as a 9/11 memorial, if you have pneumonia, STAY. IN. BED! REST! You can still die from pneumonia, even though the likelihood has decreased significantly. According to news reports, Clinton was up to date on her pneumonia vaccines. Given how ineffective it was for her, thought I would do some research to see exactly how effective the pneumonia vaccine is. Get your rest if you have pneumonia. Don’t go to work as this gentleman did. According to the CDC, once you are vaccinated, you will likely never need to be revaccinated. No kidding. I should add that this is a controversial statement. The vaccine manufacturers, of course, think you should have it more often than just once. Enter homeopathy. There are 179 remedies for pneumonia in the homeopathic Materia Medica. It even gets specific, such as right lobe, left lobe, lower lobe, upper lobe. 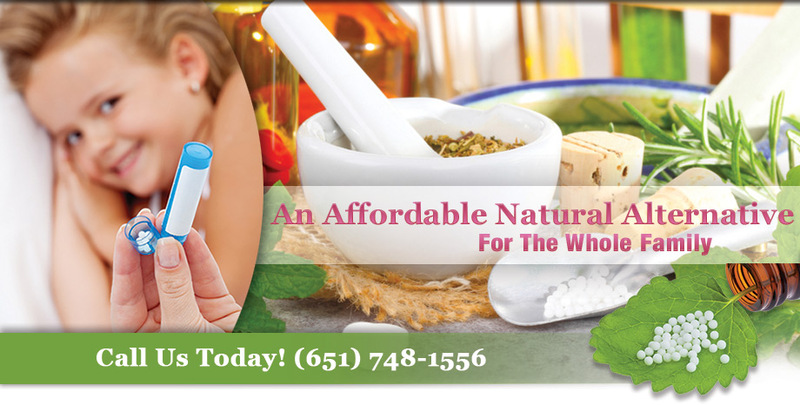 There is a wealth of experience helping people who have pneumonia by using the correct homeopathic remedies. Notice I made that plural. Often with a serious acute illness that have phases, such as pneumonia, you need more than one remedy over time to help heal the lungs. If you or someone in your family is prone to getting respiratory illnesses, you may want to consider having some higher potency (200C or 1M) doses of the most common pneumonia remedies around. These include Aconite, Belladonna, Chelidonium, Ferrum Phos, Ipecachuana, Veratrum Veride, Phosphorus, etc. You can even take homeopathy along with the antibiotics, although it may be nearly impossible to assess the effectiveness of the remedy if you do that. One of the benefits, however of adding the correct homeopathic remedy to a case of pneumonia, even if you are taking antibiotics, is that you have less of a chance of getting a repeat case, or falling into the cycle of repeated doses of antibiotics. Homeopathy also can be used to reduce your chances of getting pneumonia. Homeoprophylaxis includes a remedy made from pneumococcal bacteria and can be taken as directed to educate the immune system about this germ. It is a part of the homeoprophylaxis program for children, but can be taken by adults. I’m guessing it is more effective than the vaccine. And BONUS! the homeprophylaxis version is not filled full of additional ingredients that have not really been safety tested with a true placebo. If your lungs are a common source of dis-ease, i.e., frequent bronchitis, colds, coughs, pneumonia, you should definitely see a classical homeopath to help strengthen your respiratory system. That is probably the best way to reduce your chances of getting pneumonia. According to Chinese Medicine, the lungs and skin are related, so a good constitutional remedy will also help your skin. Many medical professionals will say things like, “You can’t get a cold by being cold.” Or, “There is no evidence that the weather can make you sick.” Wrong and Wrong. Anyone who says that weather has no influence on whether you get sick or not, hasn’t studied homeopathy. The most obvious symptoms arise when someone is anxious about the weather. Stormy weather can cause a good deal of anxiety in some people, which can lead to physical symptoms. Warm weather can make people apathetic and not want do their work. And of course, Seasonal Affective Disorder, wide spread in Minnesota in the winter, can cause the blues on cloudy days. Physically, there are many weather related illnesses. Everyone probably has an aunt or a friend who can predict the weather due to physical pains that pop up just before the rain or other damp conditions. Skin conditions such as eczema can get worse in summer or winter, depending on the constitutional homeopathic remedy a person needs. Children often get ear infections, or pain in the ears if their heads aren’t covered properly in the winter. People get tooth aches if the weather is damp or cold. There are countless homeopathic symptoms that are weather related. Well, not really countless. There are 1027 homeopathic symptoms with the word “weather” associated with them. There are 144 remedies which cover the General symptom of Becoming Cold Aggravates. There are 110 remedies in the General symptom of Change of Weather Aggravates. Here are a few of the more helpful, weather related acute care remedies that you might need. Dulcamara: Minnesota has the perfect fall weather to create conditions under which Dulcamara will be required. Illness that comes around with warm days and cool nights, such as we are experiencing now (Fall, 2016) frequently need Dulcamara. This is especially true when the weather is also damp, such as we have had this fall as well. This could be coughs, croup, general cold symptoms, illnesses involving the mucous membranes. in particular. Dulcamara, along with several other remedies, also covers the symptom of diarrhea in autumn. You could also use Dulcamara prophylactically. Since it is a common remedy that people are needing this fall, a couple 30C doses just might help ward whatever is going around. Aconite: When the weather gets bitter cold in the winter, make sure you have some Aconite 30c and 200c handy. (You might need to get the 200c from a homeopathic practitioner.) If you get exposed to the bitter cold Minnesota winter winds, and then rapidly develop a high fever or a cold, Aconite will help. This fever or cold is generally accompanied by a great deal of fear and anxiety, that something akin to death will occur…soon. Aconite won’t be the last remedy needed in a situation like this, but a few doses will get you through the worst of it. Rhus Tox: This remedy has so many weather related symptoms, that it would be nearly impossible to write about all of them. Rhus Tox is an arthritis remedy, among other things. The symptoms are generally better in the summer, when the weather is warm and sunny. On the other hand, when it we are experiencing cloudy, overcase or foggy weather, symptoms may appear or may get worse. Rhus Tox symptoms come on often in autumn. Rhus Tox headaches, for example, may appear with damp weather, before or during a storm, or when the weather changes. A confirmatory symptom would be that the headache (or any symptom) is better with motion. Most of us prefer to lie down with a headache. But if you feel better moving around, consider Rhus Tox. If the weather is literally getting you down, consider homeopathy. Give a call.